Click here to become a business sponsor. Click here to join the Dean's List. Realtors who support our schools! Los Gatos is fortunate to have generous, engaged realtors who realize school quality is important to their clients, to our families, and to our town. Realtors who donate to LGEF demonstrate they care about our community. 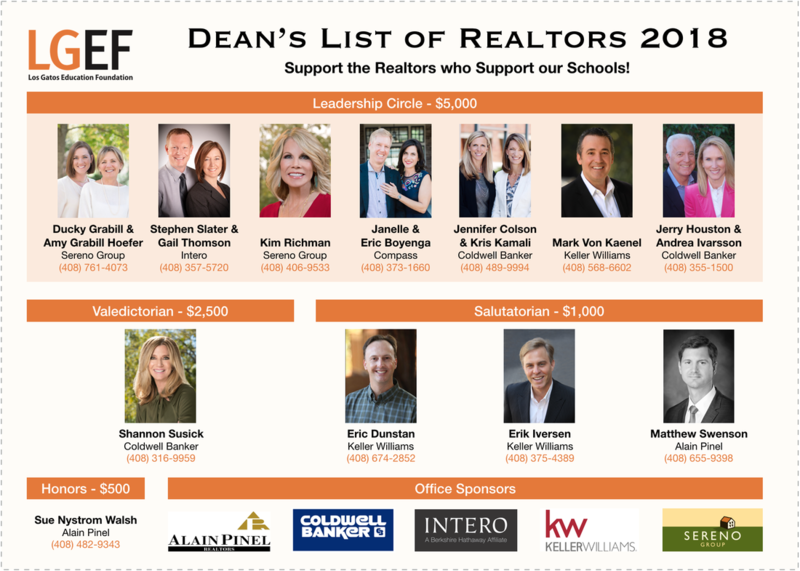 When you see these realtors please thank them and let them know you appreciate their support of our schools! Want to join the LGEF Dean's List? Click here to find out more. Do you want to be an LGEF business sponsor? Click here to find out more.